London’s Fast-Track City partners have come together at City Hall to mark World AIDS Day to share London’s progress on cutting the rates of new HIV infections in the capital and eliminating the discrimination and stigma that blights the lives of many Londoners living with HIV. London Fast-Track City initiative (FTCI) and the International Association of Providers of AIDS Care (IAPAC) announced that London will host Fast-Track Cities 2019, the first international gathering of more than 250 cities working together as part of the global response to eliminating HIV by 2030. The conference will be organised by IAPAC, in collaboration with the Joint United Nations Programme on HIV/AIDS (UNAIDS) and other partners and will take place in September 2019 in London. The IAPAC announcement came as Public Health England (PHE) released a new report which showed that the UK is one of the first countries to exceed UNAIDS 90-90-90 targets (90 per cent of people living with HIV knowing their status, 90 per cent of people with diagnosed HIV on treatment, 90 per cent of people on treatment with suppressed viral loads). An estimated total of 102,000 people were living with HIV in the UK in 2017. New HIV diagnoses have continued to decline in the UK, falling 17% from 5,280 in 2016 to 4,363 in 2017. London has further exceeded the more challenging UNAIDS ambitions of 95-95-95, with 2017 figures now confirmed at 95-98-97. Nevertheless, HIV remains an important problem in London, with the infection impacting on Londoners more than any other part of the UK. In 2017, an estimated 38,600 people were living with HIV in London (diagnosed and undiagnosed), with 5% (2,000) unaware of their infection. An estimated 1,549 Londoners were newly diagnosed with HIV in 2017, accounting for 39% of new diagnoses in England. While this represents a fall of 22% from 2016, more needs to be done to eliminate HIV in London and especially to reduce the numbers of late HIV diagnoses. PHE stressed the need for the public to accept the offer of an HIV test when attending a sexual health clinic or another healthcare service. The Fast-Track Cities is a global partnership between more than 250 high HIV burden cities, the International Association of Providers of AIDS Care (IAPAC), the Joint United Nations Programme on HIV/AIDS (UNAIDS), and the United Nations Human Settlements Programme (UN-Habitat), and the city of Paris. The initiative was launched on World AIDS Day 2014 in Paris. London became part of the global Fast-Track Cities initiative in January 2018, when The Mayor of London, Sadiq Khan, signed the Paris Declaration on Fast-Track Cities Ending the AIDS Epidemic, along with London Councils, Public Health England and NHS England. The Fast-Track Cities initiative brings together those already working to tackle HIV across the Capital. Improved collaboration will help to ensure that communities affected by HIV can access the prevention, testing, treatment and support they need. Since signing the Paris Declaration in January 2018, the London working group, supported by the Healthy London Partnership, has started to bring together organisations, communities and individuals across London who can play a role in meeting London’s HIV ambitions. London has set the ambitious target of achieving zero new HIV infections, zero preventable deaths and zero HIV related stigma and discrimination, aiming to wipe out AIDs by 2030. 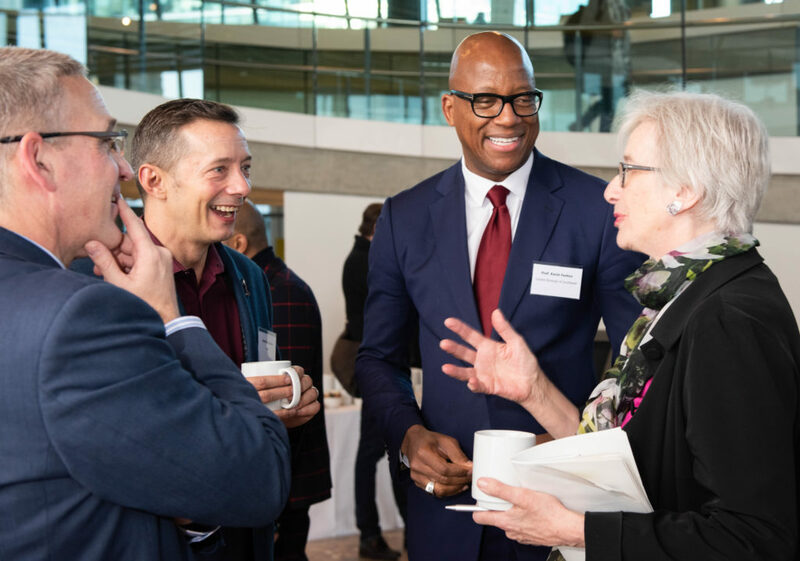 Tackling HIV related stigma is a key priority in the Mayor’s draft Health Inequalities Strategy, ensuring those living with HIV can live their lives without discrimination and breaking down barriers to early diagnosis. 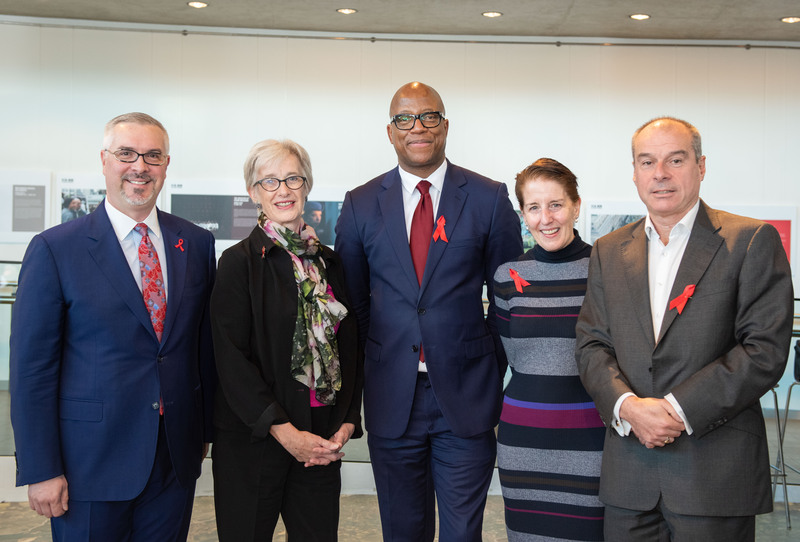 London has also been working with The International Association of Providers of AIDS Care (IAPAC) to develop London’s Fast-Track Cities Initiative dashboard. The dashboard tracks London’s progress in further improving its HIV response. Read the stories of people living with HIV as part of the Positive Voices survey and Changing Perceptions project. The survey aimed to provide insights into the general public’s awareness, perceptions, knowledge, and attitudes towards HIV. The survey was fielded in June 2018 by the independent market research company Opinium. Additional survey data will be made available in 2019. The survey respondents included 18,169 HIV-negative adults living in nine countries in Western Europe, including seven with Fast-Track Cities (France, Germany, Italy, Spain, United Kingdom, Ireland, Austria, The Netherlands and Switzerland) and 6,043 HIV-negative adults living in three countries in Eastern Europe, two with Fast-Track Cities (Romania, Ukraine and the Russian Federation).